We met at Ariensplein to talk over our sketches and ideas to make a more physical output of our community workshops. 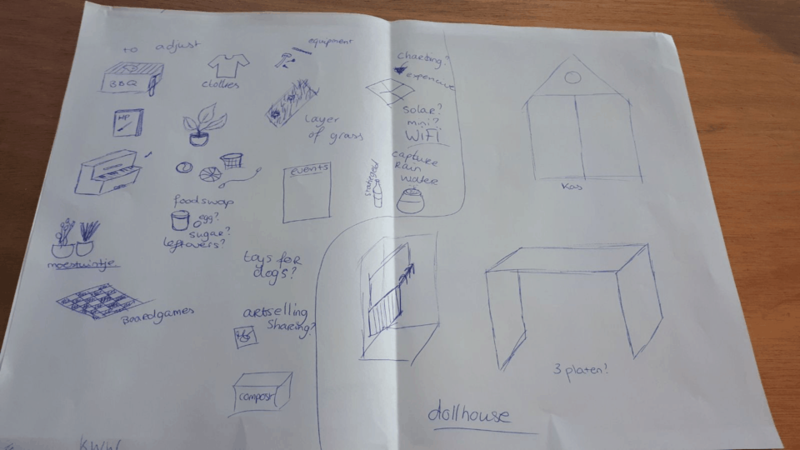 This brainstorm finished with a our new concept: a community shelter/greenhouse which citizens fill with items of interest for sustainability and resilience. 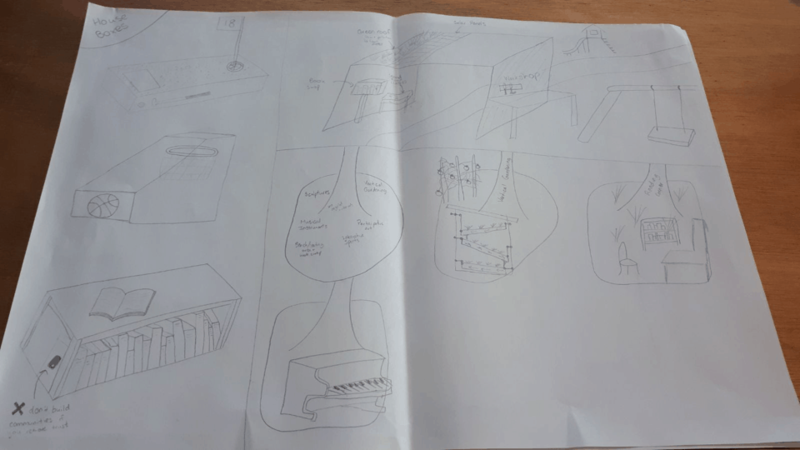 For example they may choose a greenhouse structure with communal barbecue, a book swap, and solar panels on the roof. See the image below for the various structures and the various input items. Imagine it is like a dollhouse with its pieces.